Buy refurbished iMac from mResell! We offer refurbished Apple desktops that have been inspected by certified Apple technicians. 12 months warranty and 14 day returns for free, for all of our products. From our large selection you are guaranteed to find a suitable refurbished iMac for your needs. Our selection includes refurbished iMac 21,5” and refurbished iMac 27”. New products are added to our webshop daily and the most popular products are usually sold within a few hours. Should you, for whatever reason, be unhappy with your refurbished Apple product you can return it for a full refund within 14 days. We also offer free shipping! The idea behind Apple iMac is to transform the ordinary desktop computer into a magical devices that has all the needed part fitted into one shell. With Apples iMac you can make your own visions come true. The iMac is one of the best option for creative people and it has been selected as the best device for graphic design time and again. 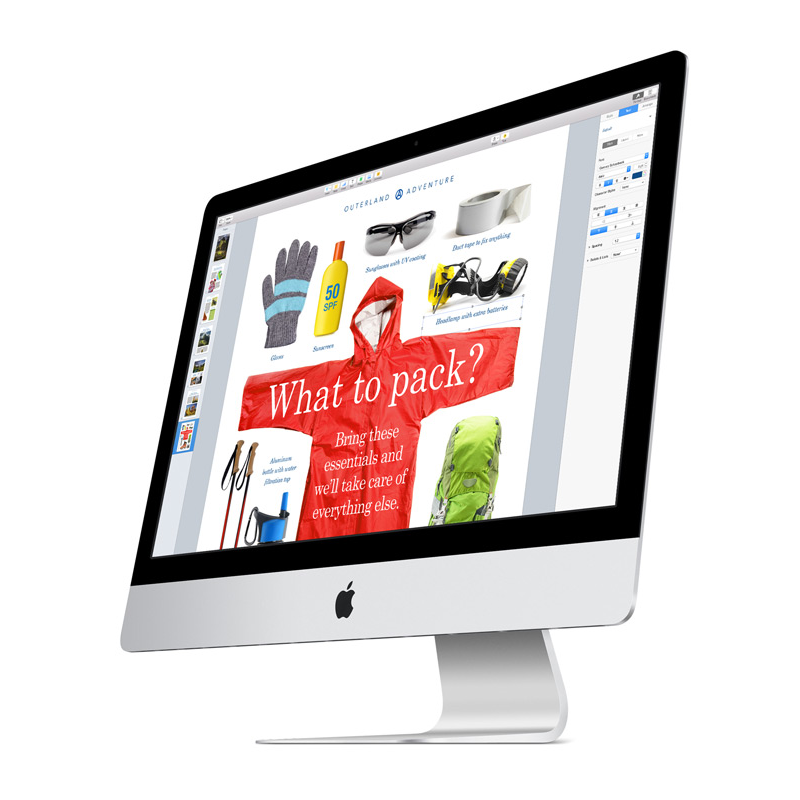 With the iMac you can use Applications such as Adobe PhotosShop and Adobe inDesign effortlessly. From our broad selection of Apple desktops we are confident that you will find the right second hand iMac for you. Do you need a desktop for browsing the Internet, performing light tasks and use Office applications? Then our cheapest iMacs, such as refurbished 21,5” and iMac 27” should fit your needs spot on. Or are you looking for raw computing power and for a refurbished Apple iMac that does everything you could ever wish for? For this purpose you can choose iMac Retina 5K or even refurbished iMac Pro. Currently our selection includes 2012 iMac models and newer. All iMacs are equipped with state of the art components. Old iMacs have spacious HDD-disks and newer iMacs are equipped with very fast SSD-drives and if you want to have the best of both worlds, you can choose Fusion Drive. Each of the used iMac is shipped with a keyboard, mouse or trackpad and a power cord (unless stated otherwise). Before our products are put on our website, they undergo a thorough process where an Apple technician checks the devices internally and externally to ensure that the refurbished iMac is almost like new. The design on iMac is timeless. Traditional desktops are often not sleek and may be in conflict with interior decoration, but that is not true of the iMac and it’s stunning looks. The display of iMac is a thing of beaty, it’s wide viewing angles and crisp colors arouse admiration – and as such, the iMac offer a perfect setup to watch movies. All iMacs are equipped with powerful webcam so you can effortlessly FaceTime your friends and family. The iMac was first published by Apple in 1998 and it was one of the first devices where the main frame was integrated into a display. iMac served as key product that lifted Apple and made them one of the best known brands in the world. The first aluminum framed iMac was launched in 2007. When you buy a pre-owned iMac you do not only save money, you also save the environment. Together with our customers we are building a more sustainable future by extending the lifecycle of Apple products. Choose mResell when you are looking for a cheap second hand iMac and want to save up to 70% compared to a new device!